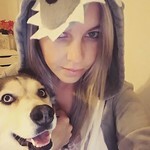 Heeeey guys, happy first day of winter break! My kids are already driving me crazy. Shocker, right? It’s crazy cold right now and nobody wants to go outside and run off their energy. So far we’ve gone a movie, taken the dogs to see Santa, decorated cookies, watched Home Alone 4 times, and eaten 3 batches of my mom’s Christmas mix. Have you put any thought into your holiday meal? 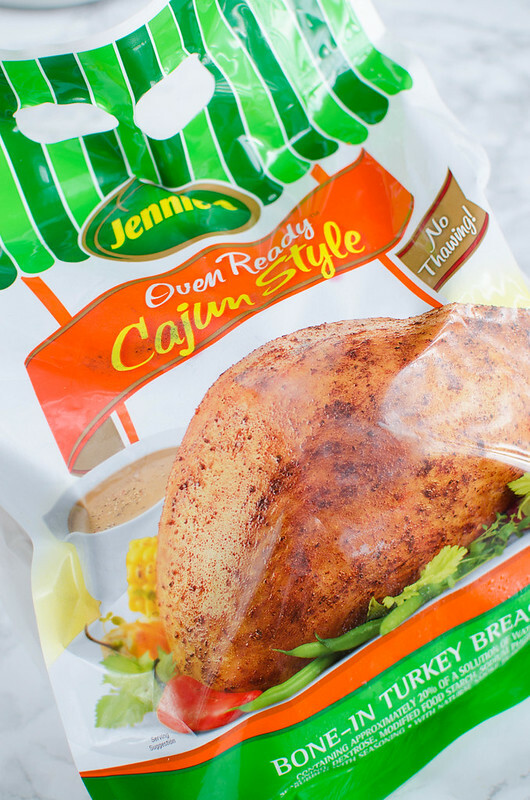 Y’all know I’ll be doing another of my favorite Jennie-O Bone-In Turkey Breasts but the cajun one this time! I love these so much because they go right from freezer to oven which means you don’t have a turkey in the fridge defrosting for days leading up to the holiday. If you have a tiny fridge like I do, I know you understand how important this is. I’ve even been known to keep one in my freezer for nights when I want something really easy. Just pop it in the oven for a few hours and then I’ve got enough turkey for at least 3 nights. Anyway, these are perfect for a holiday because they’re already seasoned so that’s one less thing to worry about plus they come out perfectly every time. Juicy and tender and amazing. 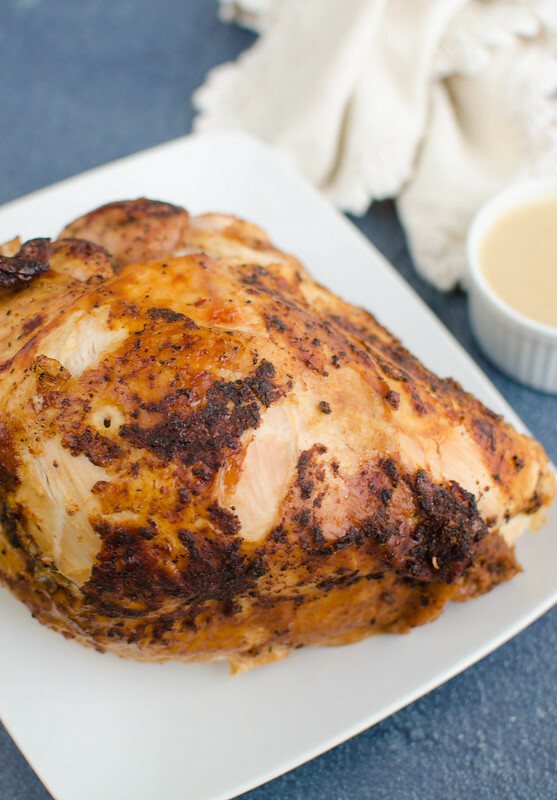 And the cajun seasoned turkey has the perfect amount of spicy. Aaaaand it comes with the gravy so you just have to heat it on the stovetop until it thickens and it’s ready to serve. 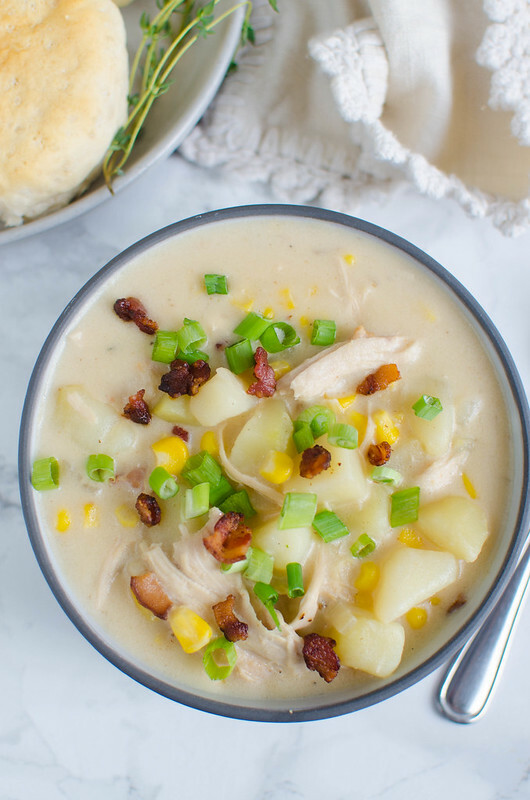 If you need an easy, cozy, comforting soup this week, you must make this Turkey, Potato, and Corn Chowder. And when I say easy, I mean eeeeeeeasy. I threw this together the other night in less than 30 minutes. I’d cooked the turkey the day before so that was already done. All I had to do was make a creamy soup base and make sure the veggies were cooked. Oh, and I crisped some bacon first because why saute onion in coconut oil when you can do it in bacon fat? 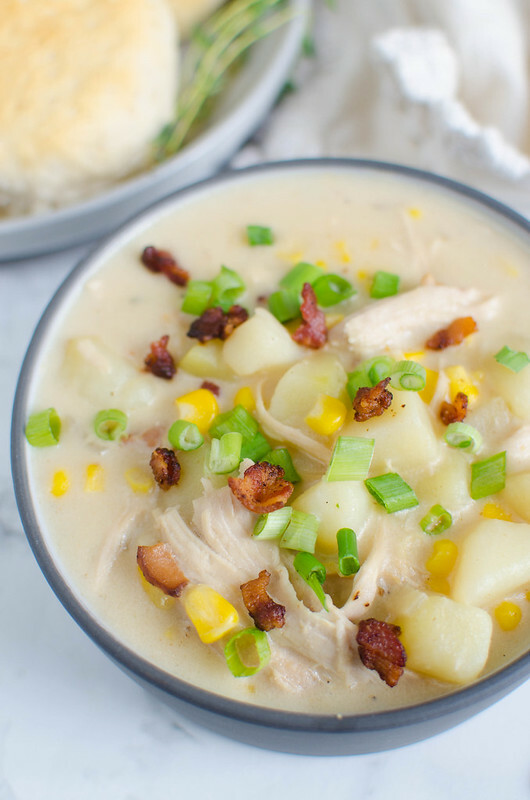 My boys are picky about soups but this is one that they all loved and I can almost guarantee I’ll make it again before the month is even over. 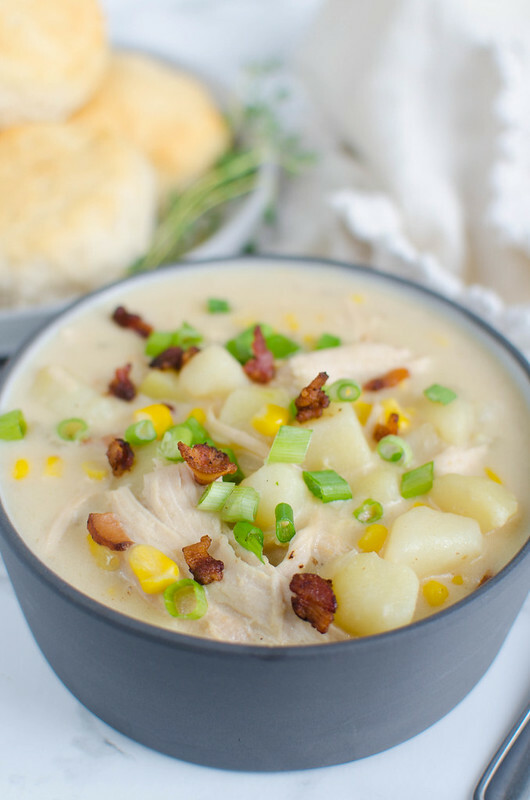 I served it with some (canned) biscuits and it was seriously the easiest meal for a cold day. In a large stockpot, cook bacon until almost done. Add onion and saute until translucent and softened. Add garlic and cook just until fragrant, about 30 seconds. Whisk in flour until a paste forms. Add chicken stock, slowly, whisking to make sure no lumps form. 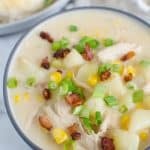 Stir in potatoes; bring to a boil and cook until potatoes are tender, 10 - 15 minutes depending on the size of your potatoes. Stir in form and cook about 5 more minutes, until thickened. Stir in half and half. Divide into bowls and sprinkle with green onions and bacon, if desired.